Following a brief period of illness, Barry Rhodes died on September 21st 2018. He joined INEX in 2013 and under his leadership the organisation has developed into one of the most respected IXPs in the world. The INEX team, membership and the wider internet community are grateful for his enormous contribution both professionally and personally. Barry casually exuded gravitas that naturally won peoples’ confidence and respect. His ease at being equal to everyone, regardless of their position, is what leaves us all mourning a good friend. He was a true gentleman, and his kindness and courtesy will always remain with us. Many organisations come to critical points in their development and without strong and determined leadership, they never reach their potential. 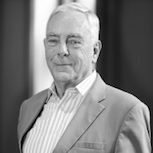 For INEX, Barry Rhodes joined as chief executive at that critical point and through his expertise , he developed INEX into the globally known and respected IXP that it is. We owe him a debt of gratitude for his work in achieving that. The greatest grief at this time is his wife Sandy’s, whom many in the community have met and have heard Barry speak of so often. Barry is also survived by his two sons, daughters-in-law and very much loved grandchildren. We were richer for Barry’s presence and are certainly poorer in his passing.